You are currently browsing articles tagged Central Park. Speed Levitch at Bethesda Fountain, Central Park. Sunday, 8 May 2011. One of my favorite people, one of my favorite places. Can’t think of much else I’d rather have done on a sunny spring afternoon in New York. Previously on PWHNY. And elsewhere. We’re nearing the end of the semester in our Writing New York class. Many years we’ve concluded with Kushner’s Angels in America. 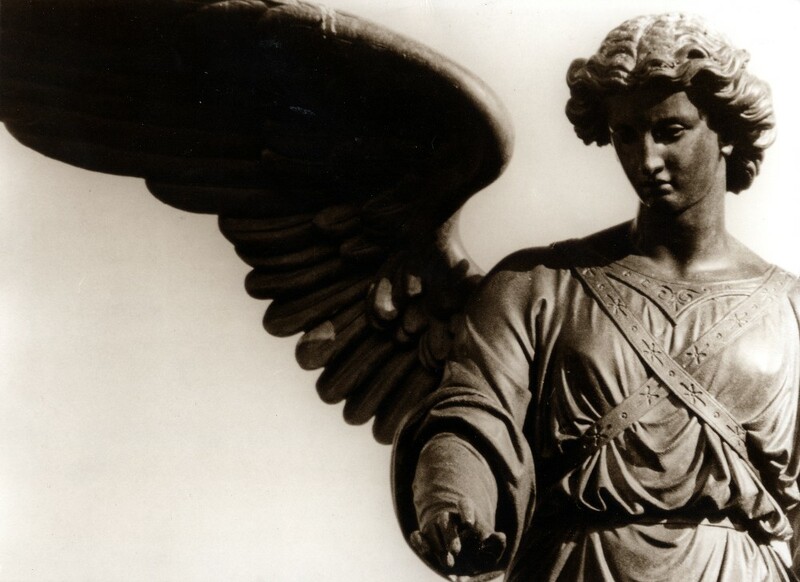 This year we still have Chang-Rae Lee’s Native Speaker to discuss, and so this morning I don’t feel quite the relief I often do when finishing my lectures on Angels. Still, it’s one of my favorite texts we teach in this course. We’ve built up quite a few posts on Kushner’s play over the last few years. Here are a few of the highlights: Last year Cyrus supplemented my lectures with a few additional thoughts on Kushner’s use of New York City as a setting and on the play’s engagement with cosmopolitanism (see this one, too, on that score). 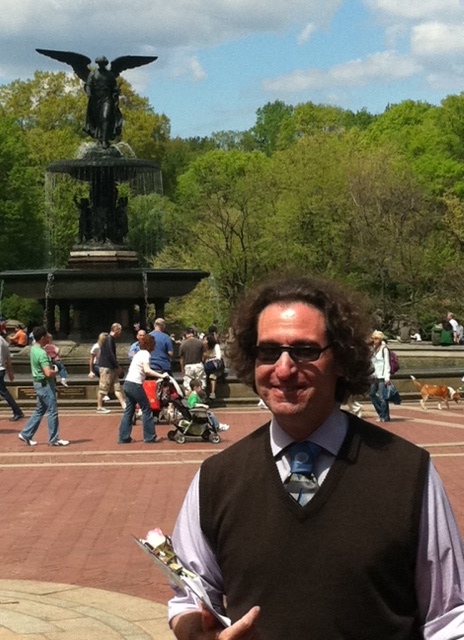 I’ve offered my own thoughts about the play’s conclusion, in which Prior breaks the fourth wall and blesses his audience, and a year earlier I’d written about the ways in which the play recycles a number of stories and symbols, Central Park’s Bethesda Fountain among them. (Because that post has some links that are now dead, I had to post again on the prior use of Bethesda in Godspell.) Several years ago, a highlight of our course was a guided tour of Central Park at sunset (or a tour of the sunset with Central Park as a backdrop) with our favorite ex-NYC tour guide, Speed Levitch. I provided a more detailed account of that afternoon elsewhere. It’s only indirectly related to Kushner’s play, but still important if you want to think about the ways in which Central Park has long been contested public space, something Kushner’s certainly aware of when he selects Bethesda as the setting for his final scene. EOTAW and others noted this one a little earlier today (it’s still the 8th for another 20 minutes!) but it’s certainly worth covering ourselves. I reported on the murder a few days later in my 6th grade class newspaper, which I edited and reproduced on brand spanking new Xerox technology. Here’s the 11:00 NBC news from this day in 1980. I’m sure there were crowds at Strawberry Fields today. The closest I’ve come to being at one of the annual Lennon memorial singalongs came when George Harrison died, and crowds spontaneously gathered to the same spot. I’m glad I had my kids with me that day — seeing what a group of musicians could end up meaning to the world is something I’d hoped would stick with them, and I think it has.